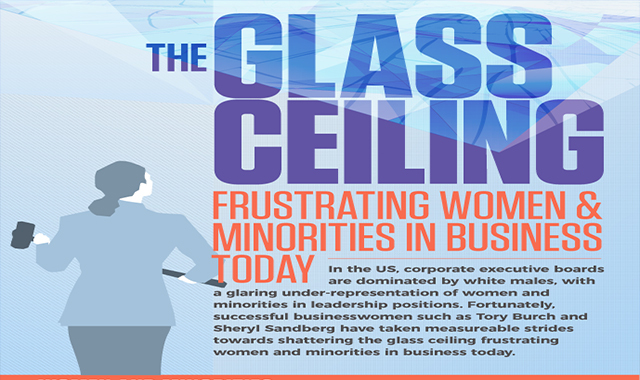 The Glass Ceiling Frustrating Women and Minorities in Business Today #infographic ~ Visualistan '+g+"
While many enterprises have invested in inclusion initiatives, decades of change programs have yielded few results. Existing inclusion programs have yielded little more than positive media. Any improvements have been marginal at best. According to research, systematic gender bias starts early in women’s careers and worsens as they ascend the corporate ladder. So, what is the disconnect between inclusion initiatives and meaningful results? There’s been little progress across the corporate landscape over the last two decades. Working environments across the continuum of industries continue to cater to males, as well do work salaries. Take Marketing, for example, where males earn an average of $62,560 per year while women earn a sizeable 12% less.